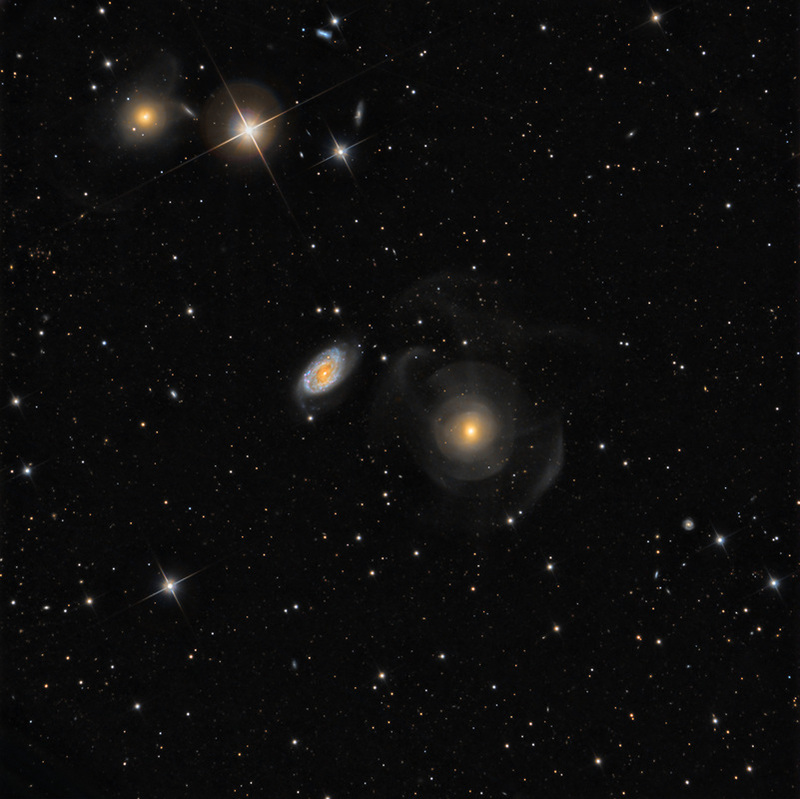 consists of NGC 470 and 474 at the center of the field. NGC 470, the smaller, colorful galaxy at left, is a classic, SB(r) spiral. The larger NGC 474 at right is a lenticular galaxy, but more interestingly, also a 'shell galaxy,' believed to be the result of a galactic merger. Note its subtle, concentric 'shells.' 474 is approximately 250,000 light-years across. Curiously, NGC 467 at upper-left, is also a shell galaxy, and appears to be interacting with the edge-on PGC 1249151 to its right. Other interesting PGC (Principal Galaxies Catalog) galaxies that appear in the field are 4755 and 4765 at 12 o'clock, and the lovely little face-on 1252050 at 4 o'clock. This data was acquired by SSRO in 2016.